Posted on November 26, 2018 by ngfmarketing. What is a Spray-In Bedliner? 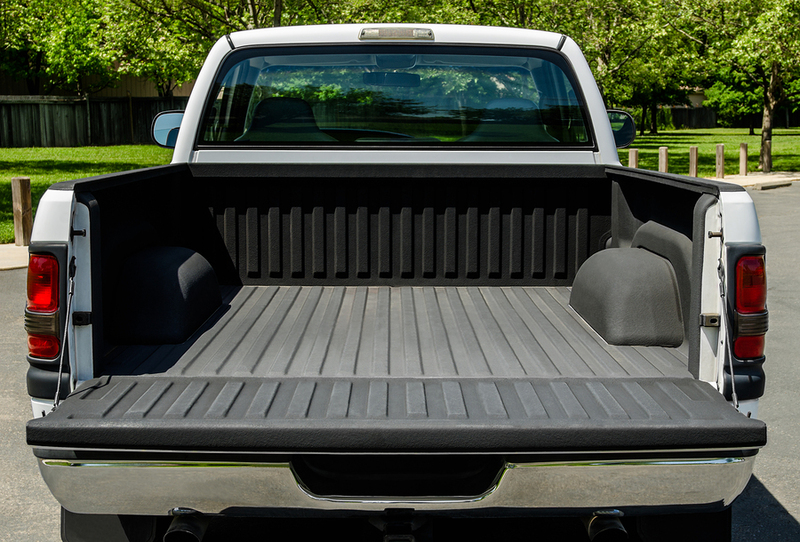 A truck bed liner is a product that shields the bed of your truck from damage. They can also create skid-resistant surfaces that keep your cargo from sliding around. Spray-in bed liners are an alternative to traditional drop-in bed liners. Instead of just dropping them into the bed of your truck, spray-in bed liners are professionally installed and contoured to the shape of your truck bed. What are the Benefits of Spray-In Bedliners? A variety of textures for different functions such as surfaces with grip to keep objects from sliding. Other types of bed liners, drop-in bed liners for example, simply can’t compete with all of these benefits. So, how much would something with this many benefits cost you? How Much Does a Spray-In Bedliner Cost? The average spray-in bed liner can cost anywhere from $300 to $700. That’s a pretty large range, but unfortunately, we can’t give you an exact price here. There are simply too many variables to consider. What we can do is go over a few things that will determine the cost of your spray-in bed liner. Much of the cost associated with spray-in bed liners stems from the skilled labor required to install it. How long it takes will vary based on the size of the truck bed and the skill of the installer. There are a number of different brands of spray-on bed liners including Line-X, Rhino Liners, and DualLiner. The average cost of these different brands can vary significantly. For example, the average cost of an installation of the Line-X is around $480. The average cost for installation of DualLiner is around $400. Experienced installers generally demand higher prices. Since their experience can often result in a better end product, it’s often worth paying this premium. That said, you should always shop around for more competitive prices. Location is important when determining the cost of a spray-in bed liner. Typically, the further north you go the more expensive things get. In regions where truck bed liners are common, costs are even lower. As an example of this, the average cost in Texas is significantly lower than the average cost in New York. Spray-in bed liners offer a number of benefits including scratch protection, noise reduction, and high durability. The cost can vary greatly, but remember that there’s no substitute for good work. Installing a bed liner yourself is not recommended. They must be installed by a professional with the training and experience to apply it evenly. In the long run, a professionally installed spray-in bed liner will be worth its weight in gold.